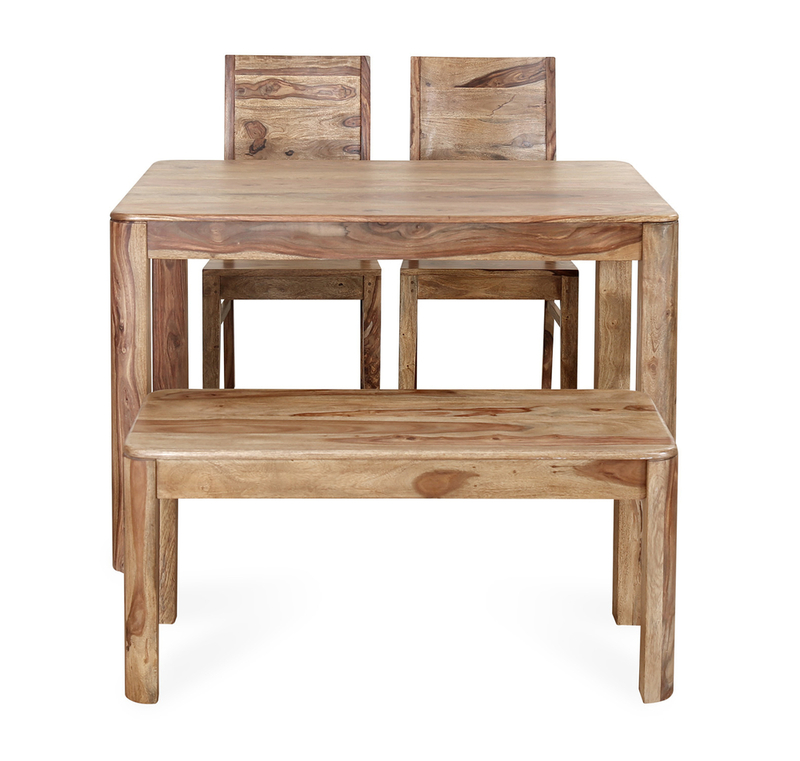 The Miracle 1+2+ Bench Dining Set is all that you can ask for a contemporary dine in set up. The dining table looks unfinished yet classy, while giving away an elegant and poise appearance. The blend of two chairs and a bench compliments the new age interior decor. The raw and earthy texture of the dining table leaves a very soulful vibe, symbolising classic minimalism. Match the Miracle Bench Table with an aged bottle of wine and set the mood right for a candle light dine in with your partner. Sheesham wood provides sturdiness.Four seater Dining Set that can match with any Decor & an ideal space saver.